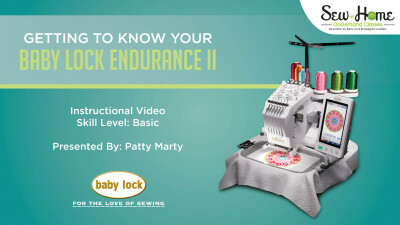 Patty’s passion for embroidery, sewing and quilting aided her in joining the Baby Lock Training Team in January, 2012. 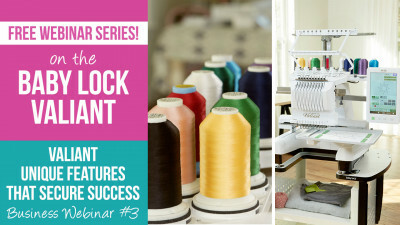 Her experience as a sewing and embroidery small business owner has helped bring a new perspective to the Training Team. Like most, she brings a life-long history of sewing and comes from a crafty lineage of women in her family. Patty’s experience of making custom purses, monogramming and embroidery helps her to spread the love for embroidery and the world of the multi-needle. She has quickly become a passionate quilter and lover of the Baby Lock long-arm machine. Switching gears from a consumer to a salesperson has helped her to bring her own approach to helping the Baby Lock retailers sell our amazing products. In addition to being creative, Patty also brings organization skills and attention to detail to the Training Team where she has assisted with the Sew At Home website, Express site and other behind-the-scenes task of the team. She is an inspired individual with an enthusiasm for fun fabrics, whimsical design and love of all things monogrammed.